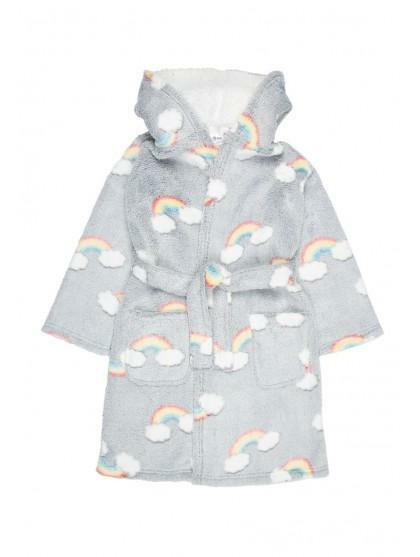 This dressing gown will make a cute addition to their nightwear collection. 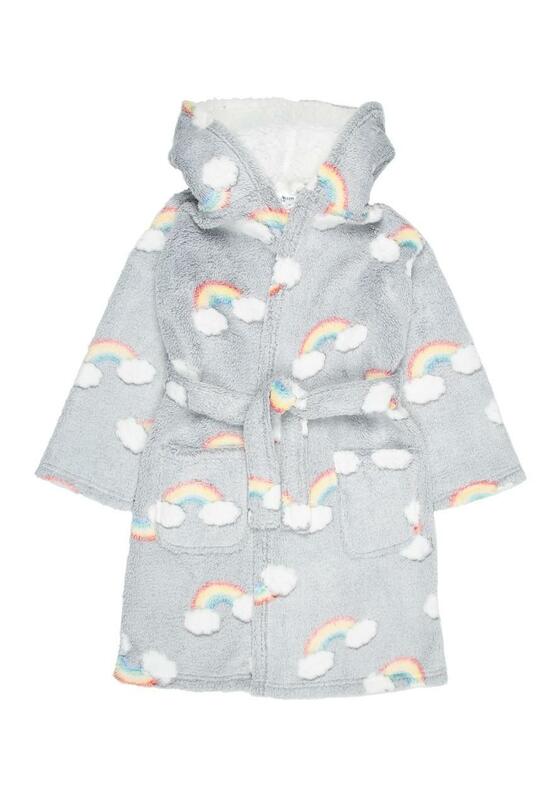 In a fluffy grey fabric with an all over rainbow print, long sleeves, hood, belted waist and pockets, it's perfect for keeping cosy at home. Also available in a women's onesie so you can match with your mini me.